Attention all intergalactic space fans! There is a BRAND NEW cafe in town and I gotta warn you - it is outta this world! 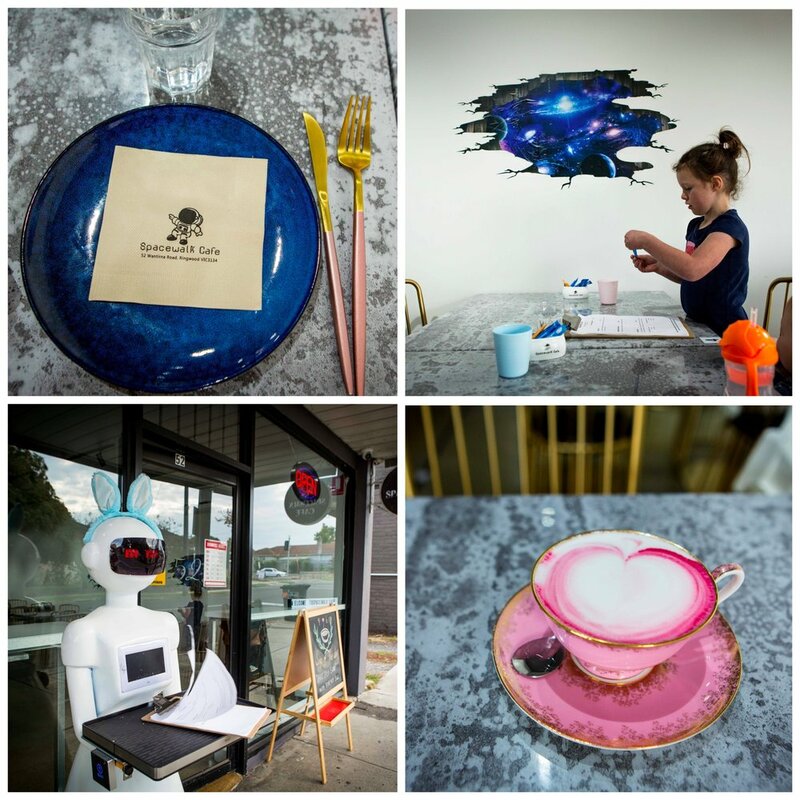 The menu is full of space themed dishes and served by … wait for it … a robot! Ms Robot will wait patiently at the door of the kitchen and then will personally deliver your order to your table. Your kids might just lose their tiny little minds when their meals arrive by this white gliding beauty. EVEN better, the kid meals are served in a spaceship! We need to install this system at home as the kids ate EVERYTHING off their plates. The novelty factor at this cafe is high and their selection of warm drinks is epic. Mamma loves to grab a pink beetroot latte whenever she can get her hands on one. Mamma's special mention: Need a playground to round up this space adventure? Ringwood Lake Park has a slide that our kids call the ‘rocket ship slide’. It’s super fast and has windows all the way down.